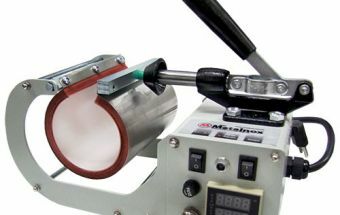 The PCM 100- MUG HEAT PRESS is a super-compact mug-printing machine, designed to print exclusively conical mugs, squeezers and other cylindrical products by means of sublimation. Its low price, compact size and easy handling are its main differentials. In addition, it delivers excellent productivity and high quality.